Tasting notes: Strawberry, pineapple, black tea, mango yogurt, Longan honey, sweet apple pie aroma, whiskey finish. 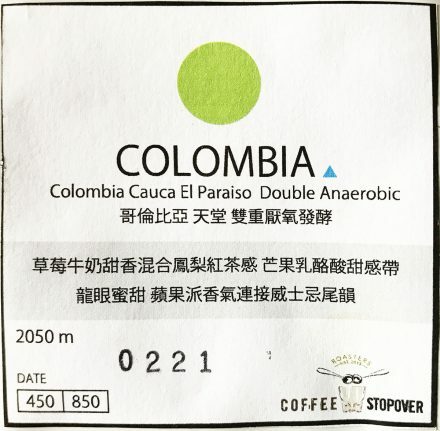 Other details: The tasting notes characters on the bag were parsed through Google translate. Teddy (thank you! 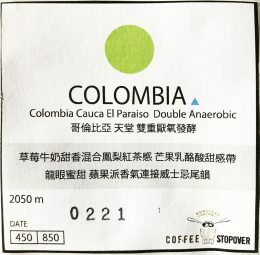 ), the coffee manager at Small Victory–South Granville gifted us a small bag of this coffee after her trip to Taiwan. 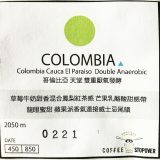 I was excited to try these coffee beans whose process, double anaerobic, I had never heard of before. I found the extracted espresso to have a sweet, aromatic smell of pear, apple, or some other type of tart/sweet fruit. These fragrances were enhanced as I added the milk. 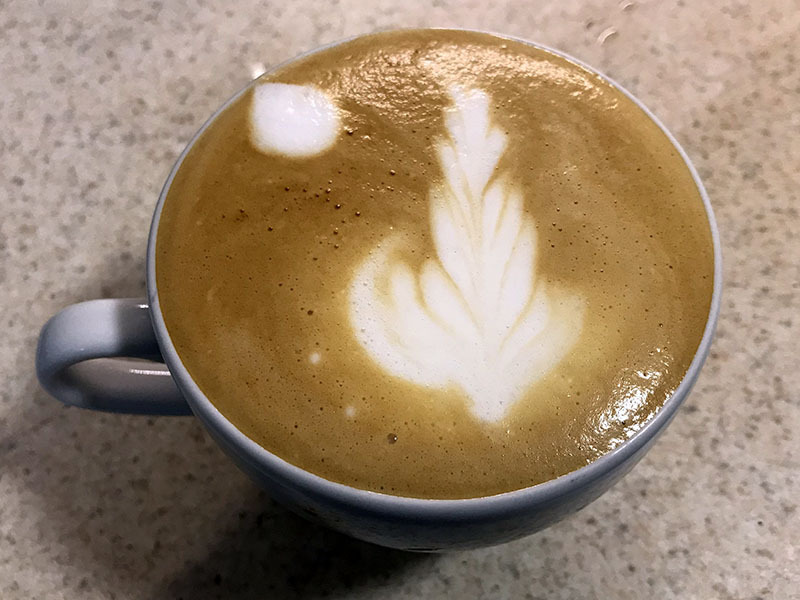 Upon drinking the 4 different lattes I made, the first taste was usually fruity. 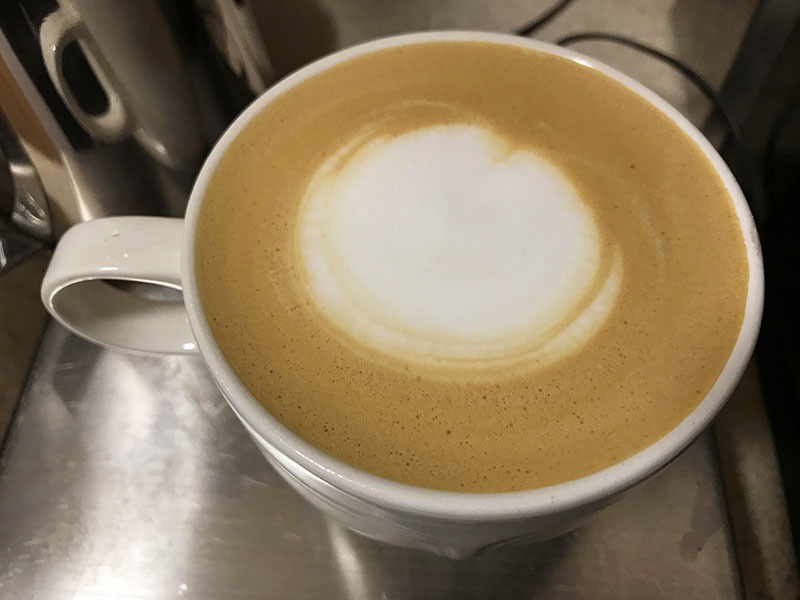 I even tasted banana in one latte in which I used a larger cup (230 ml), a finer grind, more coffee (18.5 gms in), and a longer extraction (46.3 gms out). In general, I found the taste of all the lattes was smooth with no bite, although there was some astringency in each of them that really reminded me of black tea. Some other flavors I tasted were whisky and milk chocolate at the bottom of the cup. 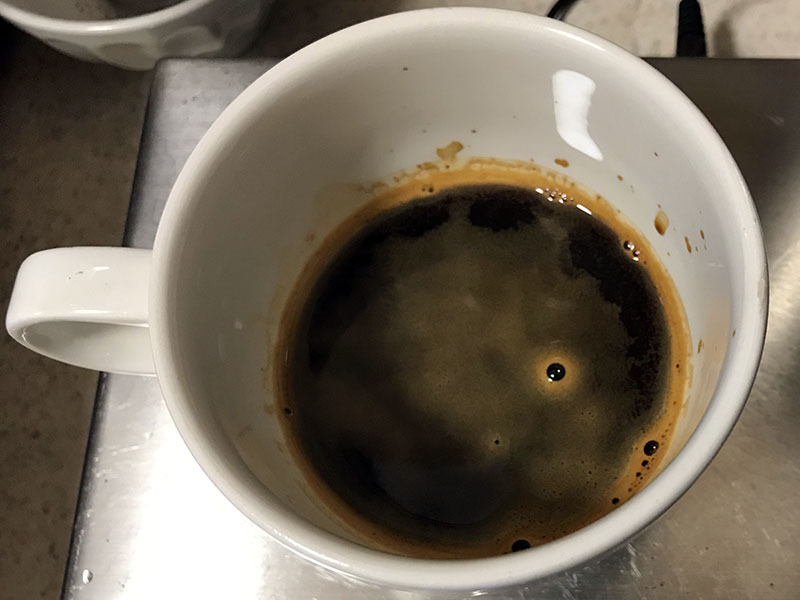 Even though the crema was not long lasting, the espresso’s tastes were never overpowered by adding the milk. NOTE: The fruity aroma of the whole coffee beans before grinding is prominent and amazing. Coffee Stopover est un torréfacteur de Taïwan. Une amie de Vicky nous a rapporté un sac de ce café primé pour ses qualités lors d’un concours. Mon premier café était acidulé et robuste à la fois, sans être amer. On y retrouvait une astringeance, comme dans le thé. Lorsque le café refroidissait, l’acidité s’estompait. Mon second café est tombé un peu à plat, le goût n’avait rien de particuler à noter. J’ai goûté aux cafés de Vicky, j’ai trouvé des notes de dulce de leche, un goût de liqueur, du sucré et de la banane. Le sac contenait un quart de livre, ce qui nous a permis d’extraire six cafés. Au final, c’est un peu frustrant, je n’ai pas eu l’impression d’avoir eu la chance de bien ajuster les paramètre pour optimiser le potentiel de ce café.